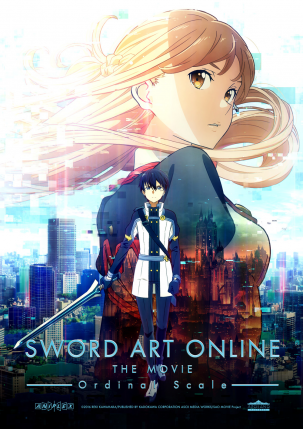 Wednesday, April 19, at 7 PM at three locations: Royal, Town Center in Encino, Playhouse in Pasadena. 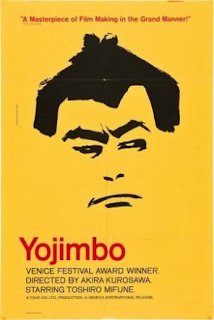 Laemmle Theatres and Anniversary Classics Abroad present a 55th anniversary screening of Akira Kurosawa’s YOJIMBO, a vivid tongue-in-cheek samurai Western. Kurosawa’s favorite actor, Toshiro Mifune, plays an amoral samurai in 19th century Japan. In a setup reminiscent of many classic Westerns (Shane in particular), Mifune’s Sanjuro strides into town and tries to reconcile a battle between two warring factions. But in this case both of the gangs are equally corrupt, and our hero is no more upright. He eventually wreaks havoc on all the combatants. The sword fights have visceral force, and the violence is always leavened with humor. 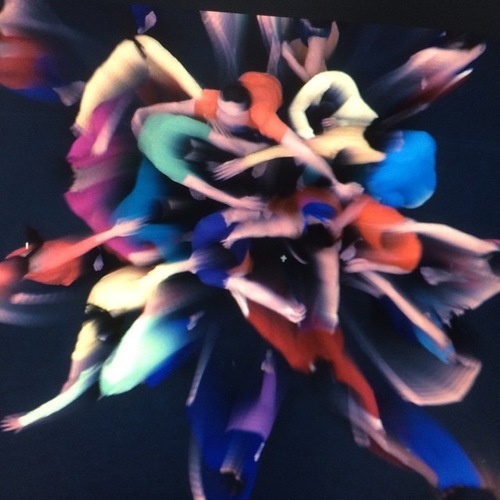 A public event incorporating dance explored through film and live performance. 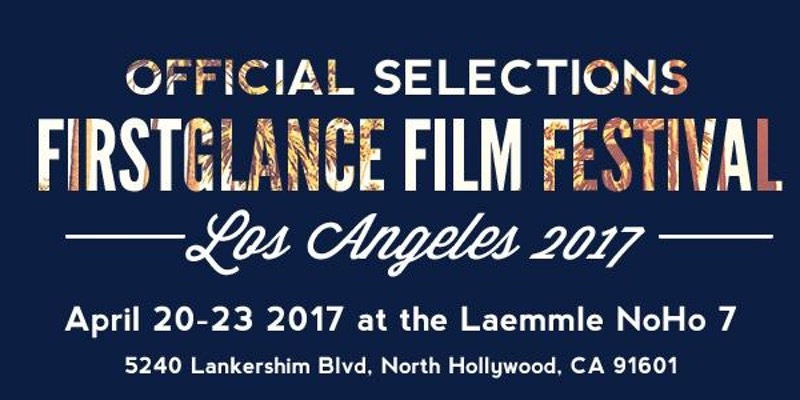 4 nights of amazing indie films await you as FirstGlance Film Festivals celebrates its 17th year in Los Angeles in a brand new venue in the amazing North Hollywood Arts District at the Laemmle Theatre. 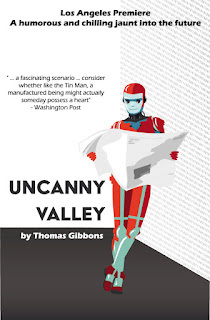 "Drawing on current research in artificial intelligence and robotics, UNCANNY VALLEY charts the relationship between Claire, a neuroscientist, and Julian, a nonbiological human. As Julian is “born” a few body parts at a time over the course of the play, Claire teaches him how to be as human as possible. 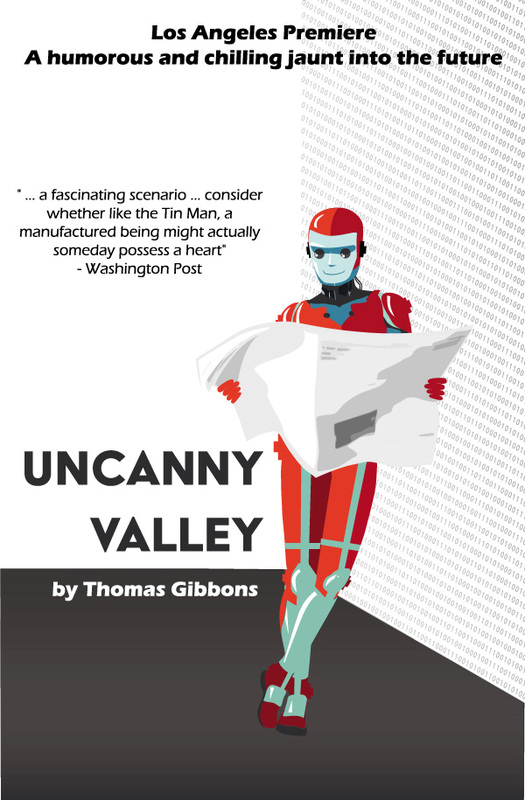 UNCANNY VALLEY explores the painful divide between creator and creation, and how we are redefining what it means to be human in the twenty-first century." Metro Art Los Angeles presents... Ambassador of Americana, Charles Phoenix, and his fun-fueled whirlwind slide show adventure exploring SoCal’s undiscovered, underrated and misunderstood mid-century architectural gems past and present. 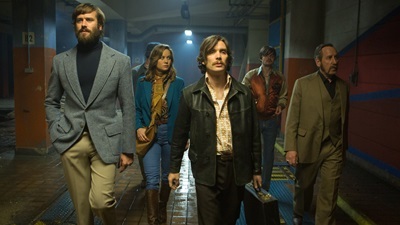 ArcLight is excited to announce two Q&As for the Toronto International Film Festival-premiered Free Fire. 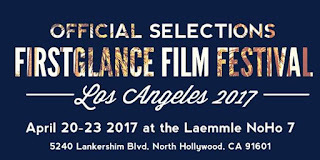 Hollywood will host two Q&As with actors Armie Hammer and Sharlto Copley on Friday, 4/21 and Saturday, 4/22 after the 7:30 PM show. Set in Boston in 1978, a meeting in a deserted warehouse between two gangs turns into a shootout and a game of survival. Reserve now! 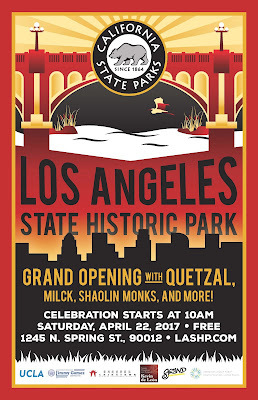 The Los Angeles State Historic Park is having it's grand opening on April 22nd. And we're all welcome back after all the construction. A day-long celebration of music, performances, family-friendly activities and food trucks is planned on opening day. The park is easily accessible by the Chinatown Gold Line Station we're guessing limited parking there. 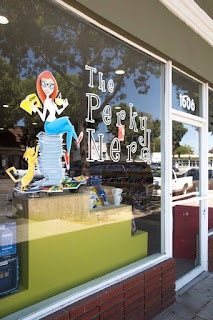 The Perky Nerd One Year Anniversary Extravaganza! "We are so excited to celebrate our one year anniversary! To celebrate we are planning a fun day of all the best things. Sales on comics, raffles, and grab bags. 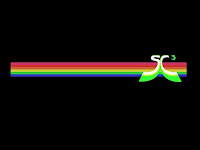 Cosplayers for super pictures! The Burnt to a Crisp and Marcel Waffle food trucks will with us from 11am to 2pm. The Coffee Commissary food truck will be with us from 2-7! The Hellflowers will be in the house for some awesome music at 4pm. 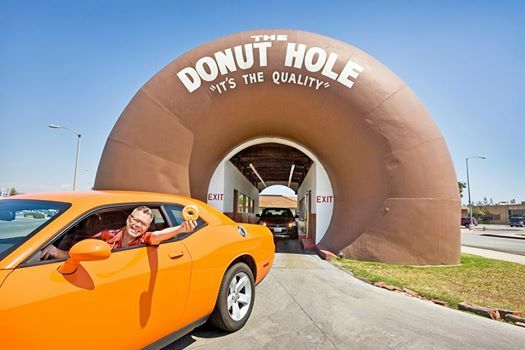 PLUS, the first 36 customers to make a purchase will get a FREE VOODOO DONUT out of the coffin! First come, first purchase!" 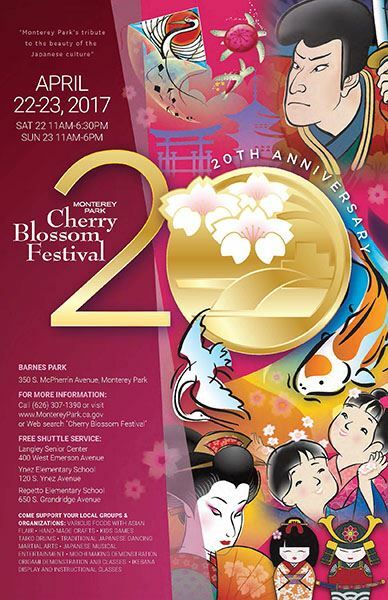 "Take the time to see, hear, and taste a bit of the Japanese and Japanese American culture through a first-hand experience of watching traditional Japanese dancing, hearing the resounding beats of the taiko drums, observing the mastery and various skills of martial arts, participating in the ancient art of the tea ceremony, or buying hand-made crafts or food with an Asian flair. 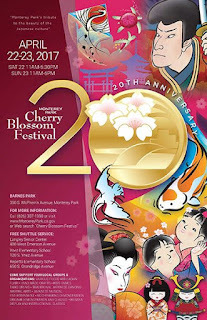 Other highlights of the festival include games and crafts for children, and numerous cultural displays." Special events and sales on Record Store Day! 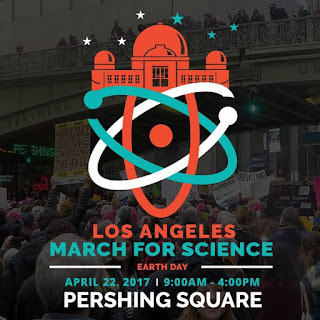 "The March for Science Los Angeles will take place on April 22, 2017 (Earth Day), beginning at 9:00am at Pershing Square Park in downtown Los Angeles. Marchers will then make their way to City Hall. So far, over 13,000 people have pledged to march, while nearly 50,000 others have expressed their interest in participating. These numbers include scientists, educators, students, advocates, and community leaders. They will unite as a diverse, nonpartisan group to call on policymakers to champion and fund science that upholds the common good and to advocate for evidence-based policies in the public interest at the local, state, and national levels." 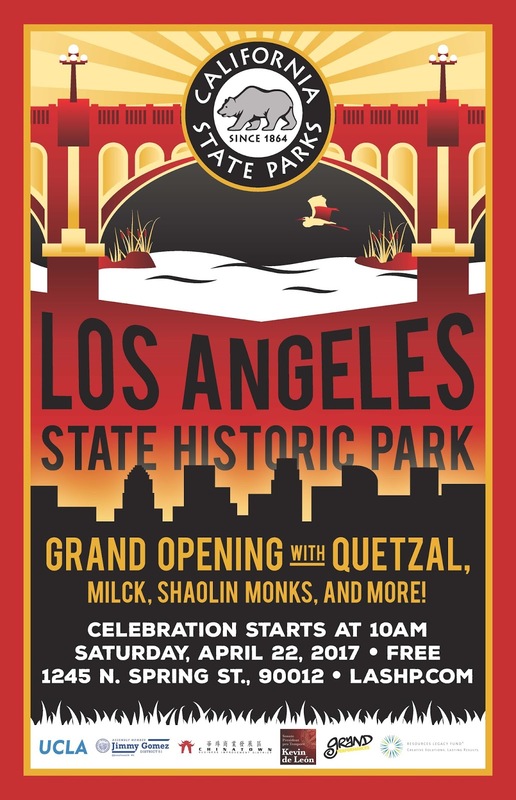 Tue, April 25, 8:30 a.m.
Open to the public, the dedication ceremony will take place on the steps of L.A. City Hall and will begin at 8:30 a.m. A jazz band will open the ceremony followed by the mayor's dedication. BANDALOOP aerial dancers will perform a dance medley inspired by the film, and then the jazz band will return to close the show. 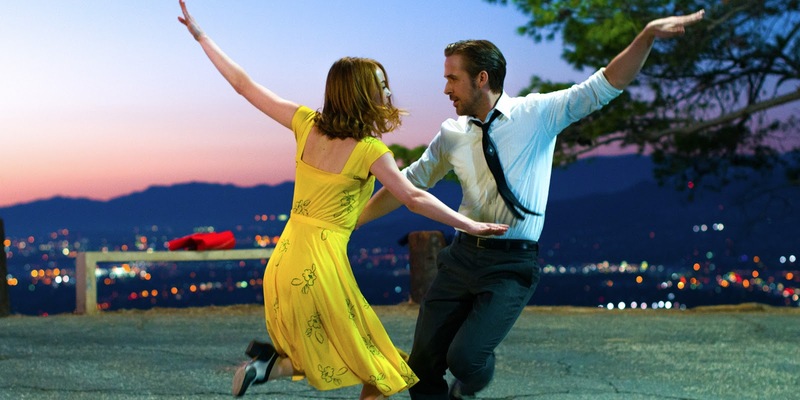 Director Damien Chazelle, composer Justin Hurwitz, production designers David and Sandy Wasco, choreographer Mandy Moore and jewelry designer Kyle Chan are all expected to attend the ceremony.